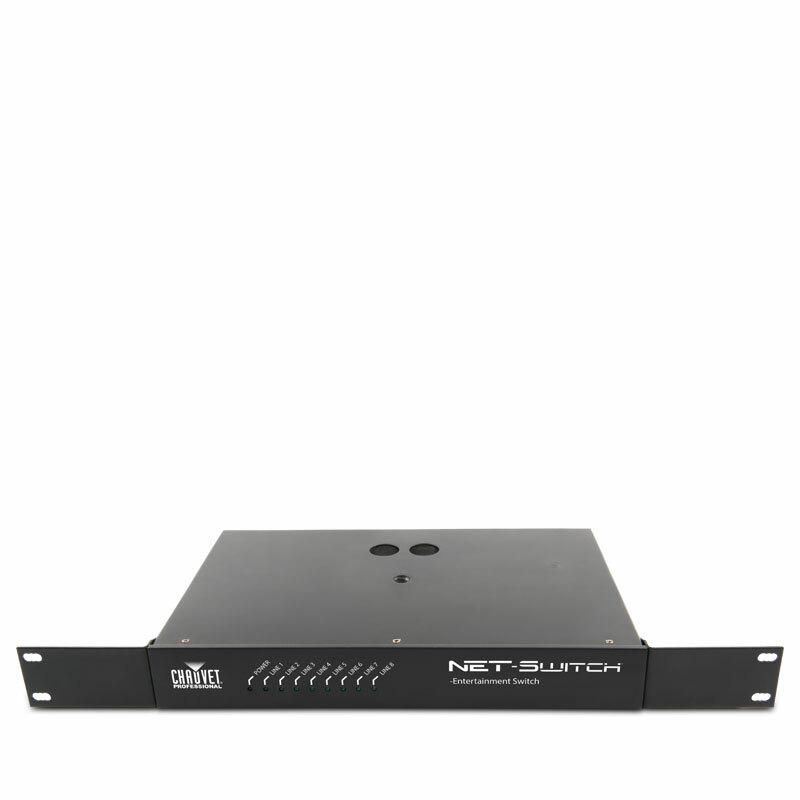 Net-XII is a versatile rack-mountable Ethernet-to-DMX node, which also functions as a merger for two controllers on either Ethernet or DMX inputs. It has the ability to record up to 10 DMX presets, which can be triggered remotely. 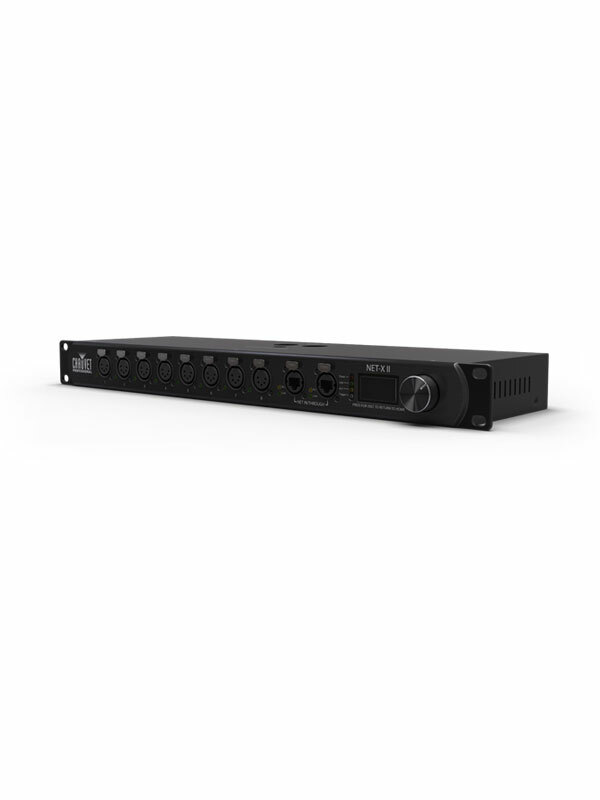 Net-X II has two 5-pin DMX inputs and eight 5-pin DMX outputs – all optically isolated, and can output up to eight universes simultaneously. 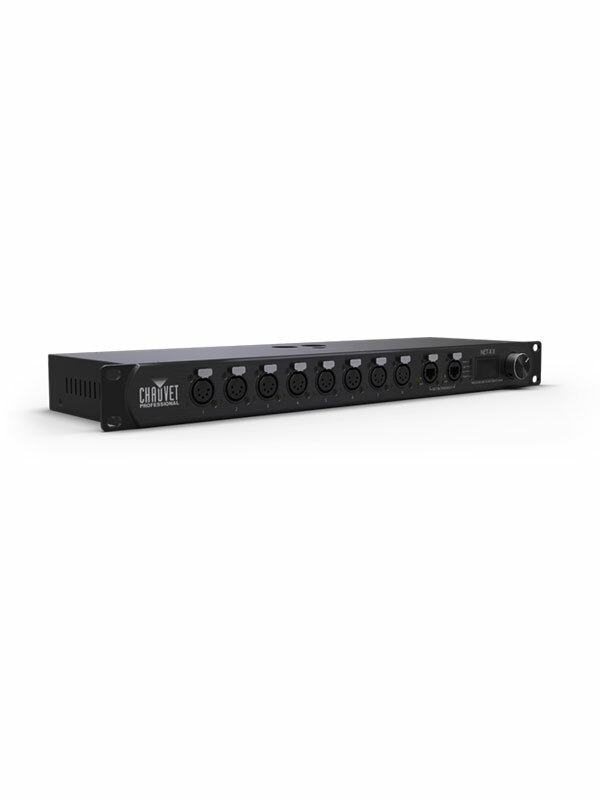 The eight 5-pin DMX outputs can be individually assigned to either of the two DMX inputs (or the Ethernet inputs to mix network inputs with DMX inputs in a single device). LTP and HTP merging fully supports network protocols sACN, Art-Net or DMX to merge two incoming controllers to any DMX output. It has RDM over network functionality. 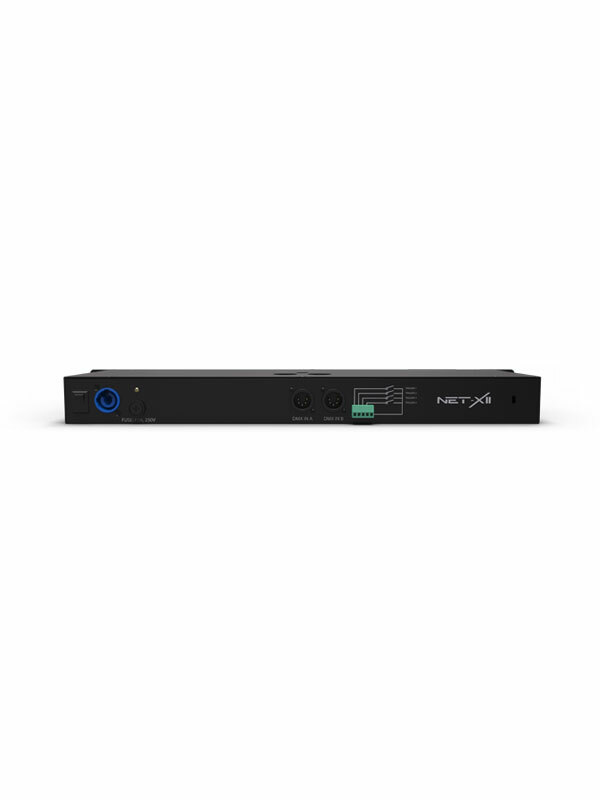 Net-X II provides a reliable platform for novice users with its preset configuration library, while providing experts with a highly customizable network infrastructure for complex control systems.